Recently the New Republic featured a story about how the workplace experiences of transgender men and women can shed light on occupational gender equality more broadly. Jessica Nordell interviewed me for the article, and we talked extensively about the research I did for my first book, Just One of the Guys, that focuses on the work lives of transgender men in Texas and California. I argue in the book that trans men can develop what Patricia Hill Collins calls an “outsider-within” perspective from the unique experience of having worked on both sides of the gender binary. This experience can put into high relief the often-invisible social processes that produce and maintain a workplace gender gap. 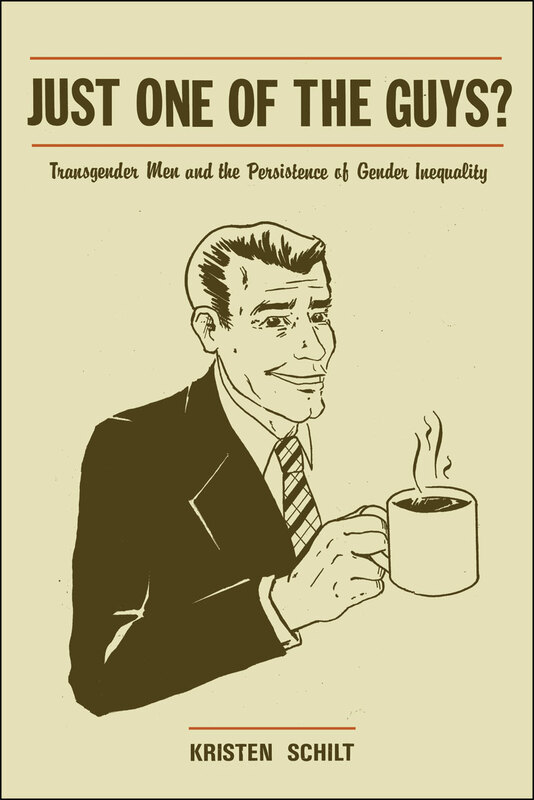 As many of the men I interviewed noted, bringing their appearances in line with their feeling of maleness could bring a noticeable change in their workplace treatment – a change that one man described as going from “bossy” to “take charge.” However, white and heterosexual trans men reported more positive changes in their treatment from co-workers and employers than trans men of color and gay trans men. Cisgender people have much to learn from listening to transgender people’s workplace experiences. At the same time, it is essential to keep in mind the precarity of many trans people’s employment status. To date, only 18 states prohibit employment discrimination on the basis of gender identity and expression – meaning that workers are vulnerable to being fired for being transgender in 32 states. As the report by the National Center for Transgender Equality and the National Gay and Lesbian Task Force (NGLTF), Injustice at Every Turn, found, transgender and gender non-conforming people report high levels of unemployment and under employment. While high-tech companies and educational institutions have been leaders in adopting employment protections for gender identity and gender expression, the levels of underemployment reported by the NGLTF mean that many transgender people work in service and retail jobs – occupational sectors that are precarious for cis and trans workers alike. Finally, as Kyla Bender-Baird documents in her book, Transgender Employment Experiences, transgender workers face unique forms of workplace harassment, such as being barred from access to a bathroom that fits their gender identity. Clearly, transgender people’s workplace experiences can be illuminative for the study of gender. Further, sociologists must also focus on dismantling the social processes that maintain this workplace precarity for transgender and gender non-conforming people. Kristen Schilt is assistant professor of sociology at the University of Chicago. Cross-posted at the Gender & Society blog.